If you are learning how to cook spinach, you will find many recipes both for raw and cooked spinach. I cannot say I have a preference because both can be equally delicious. Both depend a lot on the added ingredients; I am not fond of it either way without good seasonings. 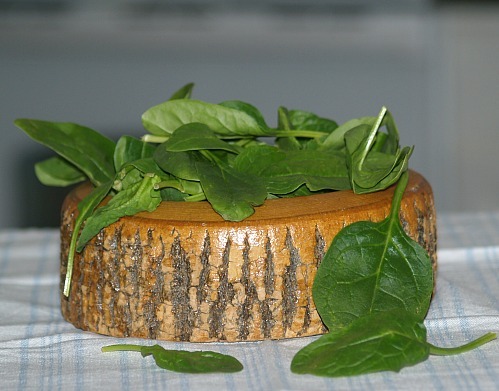 To learn how to cook spinach, try it in different forms such as fresh, canned or frozen to see which you like the best. 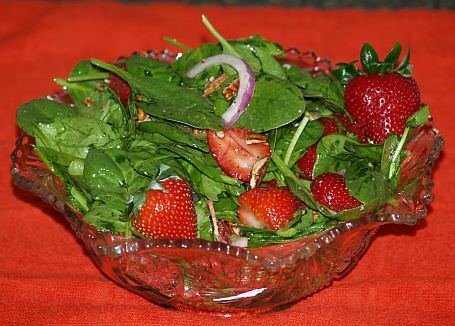 Of course for fresh salad dishes you must have fresh spinach; for cooked dishes I also prefer the fresh spinach. I do occasionally purchase frozen spinach if necessary but I never like to use the canned spinach. For me the canned is just too soft and flavorless. There is more of a reason to learn how to cook spinach than the delicious taste of spinach recipes; it is very high in nutritional value. There are many health benefits to this wonderful green vegetable. It is high in dietary fiber to help in digestion and it has many anti cancer and anti inflammatory properties. Vitamins C and E, beta- carotene, manganese, zinc and selenium in spinach are powerful antioxidants. Eating spinach helps to lower blood pressure and add beneficial eye protection that comes with age. NOTE: One pound of washed and trimmed spinach equals a 10 ounce package of leaves. Mix all ingredients together. Dump into a buttered casserole baking dish. Bake for 1 hour. Combine all the salad ingredients together and place in a plastic bag or covered container in the refrigerator until serving time. Combine all dressing ingredients and store in a glass jar in the refrigerator until serving time. Before serving, shake jar and toss with the salad greens. 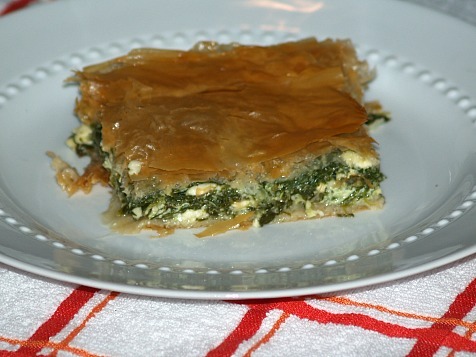 When learning how to cook spinach, this is a delicious way; it is one of my favorite Greek recipes. Sauté the green onions in a little butter and set aside. Rinse, chop and drain the spinach; place well drained spinach in a large mixing bowl. Add the green onions, feta, cottage cheese, salt and pepper to the spinach. Fold the beaten eggs into the spinach mixture and set aside. Butter a 9 x 13 inch baking pan; Lay about 7 layers of filo on the bottom of baking pan, brushing each layer with melted butter. Spread the spinach mixture evenly over the pastry sheets. 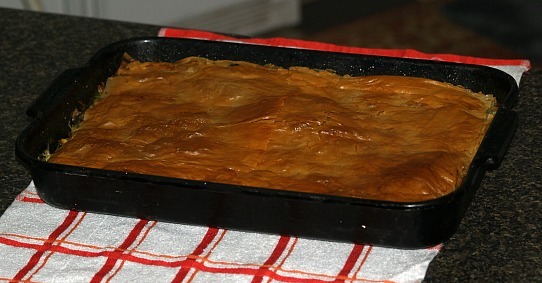 Bake pie for 1 hour or until light golden brown.Cool to warm and cut into squares before serving. This spinach artichoke casserole is a flavorful dish if you are learning how to cook spinach. Cook the spinach and drain well (squeeze water out). While spinach is hot add the cream cheese and butter; mix well and season with salt and pepper. Place a layer of ½ of the spinach mix in a greased 2 quart casserole dish; then add a layer of half of the artichokes. Season top with salt, pepper, Worcestershire sauce and Tabasco sauce. Sprinkle top with half of cornbread stuffing mix. 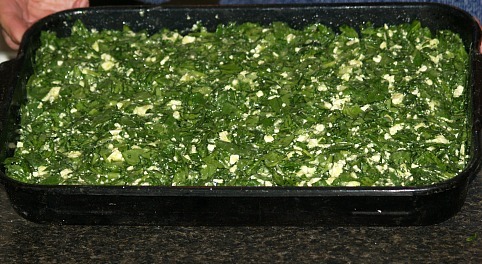 Make another layer with remaining spinach mixture, layer of remaining artichokes and layer of cornbread stuffing mix.